In the wake of the unprecedented destruction caused by Hurricane Sandy earlier this week, the art dealers, gallerists, and museum professionals of New York City survey the damage done. From Chelsea to Greenpoint, and DUMBO to the Lower East Side, the art world is grappling with destroyed artworks and wrecked office and exhibition spaces. 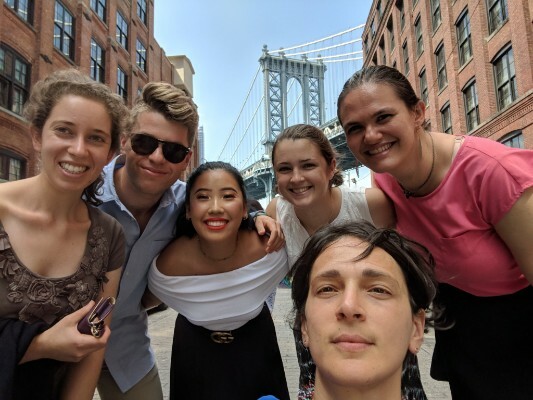 Art Info reported that many spaces, including R 20th Century in SoHo, Rachel Uffner Gallery on the LES, the New Museum on the Bowery, Postmasters Gallery in Chelsea, and Storm King Art Center in Mountainville are without power. Others, including art spaces in Chelsea and Bushwick, were hit especially hard. Among the most affected was gallerist Zach Feuer, whose gallery is on West 22nd Street between 10th and 11th Avenues. At the peak of the storm, waters reached five feet inside his gallery and almost all of the work in his current exhibition, “Kate Levant: Closure of the Jaw,” has been destroyed. As of yesterday, Feuer and his staff were planning to return to the gallery to break open the warped-shut door to the back room where much of his inventory is kept. Some of the storage racks are built higher than five feet, so he’s hoping they provided minimal protection. 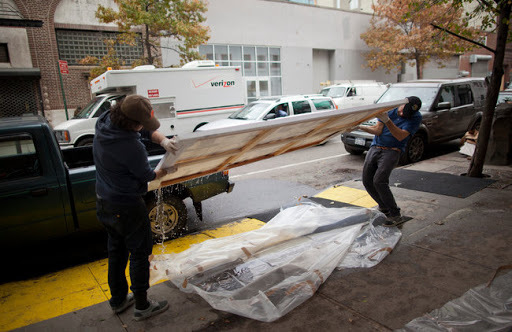 Although he had not been able to fully assess the damage, he estimated that 2 percent of the artworks “escaped damage.” Additionally, the wall between his gallery and its neighbor, CRG Gallery, was torn apart during the storm. Meanwhile, in Greenpoint, Brooklyn, 99 Commercial Street, an old factory that was converted into studios for dozens of artists for many years, was flooded by the waters from the Newtown Creek, destroying years of work. Besides the damage done to the artworks themselves, the exhibit spaces, offices, and storage spaces were affected. 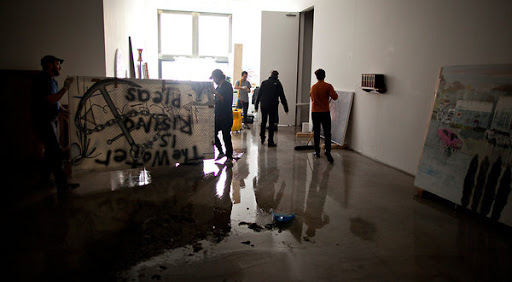 Tony Coll, who manages the building that includes Feuer’s gallery, as well as the Franklin Parrasch Gallery and the CRG Gallery, said that the storm caused damage to the building that would have to be dealt with before many of the galleries could open for business. Coll stated that in addition to still being without power, there may be damage to the electrical systems. Repairs will also have to be done to the interior walls and doors. Coll estimated that the costs for his building would be around $200,000. The unprecedented damage done to one of the world’s centers of art creation and business will undoubtedly force insurance companies, business owners, and artists alike to reassess how legal and insurance risks will be managed in the art world.